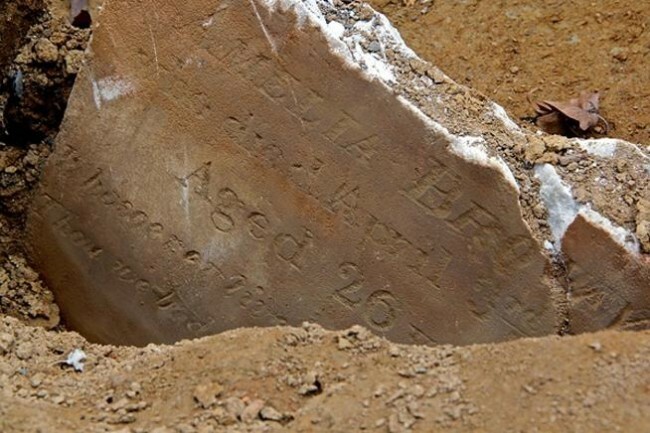 Seventy-five-year-old Charles Cavalier died this date, March 30th, in 1849 and was buried at Bethel Burying Ground. Seventy-five-year-old Charles Cavalier* died this date, March 30th, in 1849 due to gangrene of an arm and was buried at Bethel Burying Ground. He raised pigs in the rural “Neck” section of far south Philadelphia. His spouse, who is unnamed, worked as a domestic. Both were not native to Pennsylvania, according to the 1847 Philadelphia African American Census. The “Neck” was a crisscrossed mishmash of swamps, meadows, dikes, and canals. It was well known for its cabbages, thousands of pigs, packs of dogs, game birds, eccentric residents and especially for its smell. Situated in these moors were several hamlets that were little more than a cluster of shanties that bore names like Frogtown and Martinsville. The Cavaliers lived in such a pocket with a number of Black families. However, the vast majority of the residents of the “Neck” was Irish with a few Dutch families scattered about. The dozens of creeks and canals in the “Neck” were a long recognized health hazard by the city’s Board of Health. They had become the receptacle of diseased refuse that included dead animals, while its canals’ banks were lined with outhouses, emptying their contents in the slow-moving sewer, and the waste from cows, pigs, and horses, dye houses, slaughterhouses, kitchens, and street-sewage. Also, it was not uncommon to see a corpse floating by on its way from the city to the Delaware River. It was a very difficult environment to keep a wound clean and was possibly the source of the infection that led to Mr. Cavilier’s cause of death. *The spelling of “Cavalier” on the death certificate with two Ls is incorrect. Census records and city directories have the spelling with one L.
← One-year-old Stephen Hubert died on or near March 23rd, in 1851 and was buried at Bethel Burying Ground.